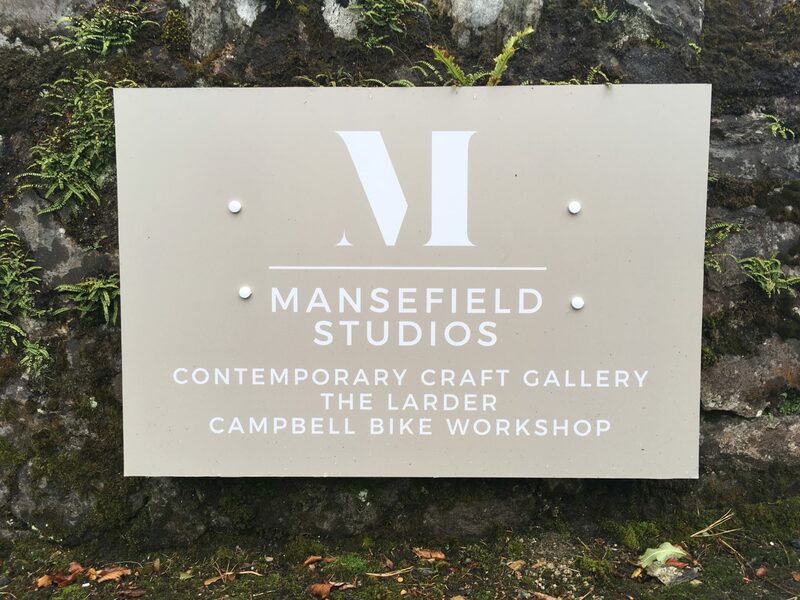 You will have noticed it on the web site, but you may not have visited us recently, so won’t have seen another of the developments over the summer at Mansefield Studios, our new signage. We decided to crisp up our image and redesigned our logo, so naturally had to replace the signage. Quite frankly, it was about time! All the signage was produced and installed by Chris from Martin Sign Services in Dunoon. See more of their work on their Facebook page. This is our Gallery, our home, and these are our dogs: Rabbit and Scrabble. They are the welcome committee, the amusement, and the ever enthusiastic lovers of all visitors to the Gallery. They will always want to say hello. They will always think they know you. It is just how it is. 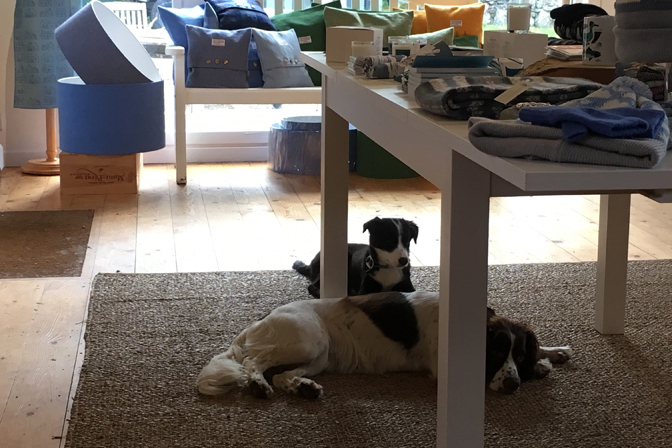 The Gallery dogs. 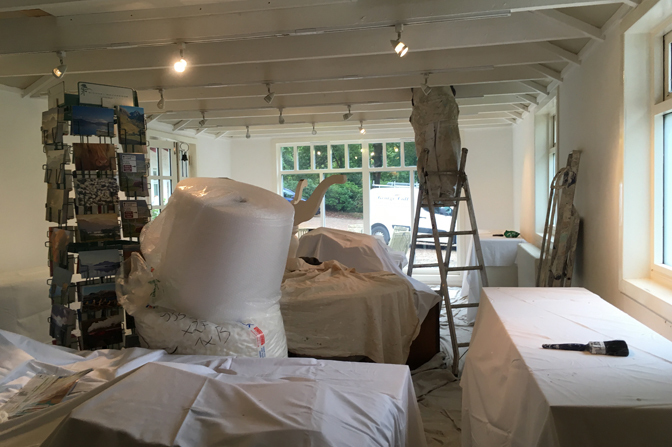 We’ve painted, we’ve scrubbed, we’ve designed, we’ve stocked, and we can now reveal the wonderful new look of Mansefield Studios. Showcasing the work of many more Scottish designer and makers, the Gallery is full of lovely, pretty things. 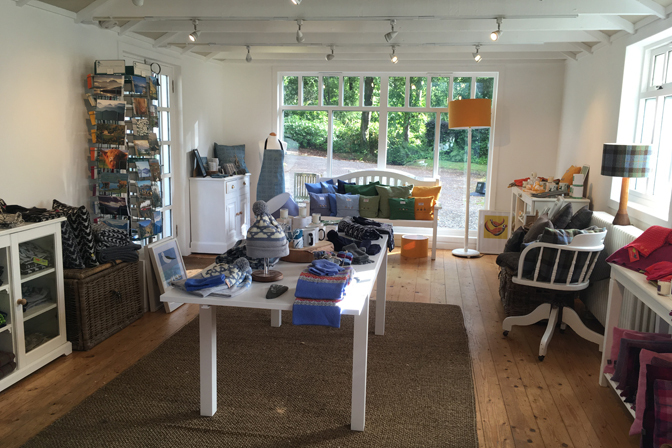 Jewellery, pottery, textiles, lambswool accessories, candles and soap. Gifts galore whatever the occasion. Come and visit! Open Monday to Saturday 10.30 – 5.30. Yes – that’s a man up a ladder painting the rafters. We’ve started renovations with a view to the big reveal happening within the week. Buckets of paint everywhere. Puppy covered in white emulsion. Paw prints everywhere. It’s all going perfectly to plan…. Total redecoration. New props. New stock. Online, we’re open 24 hours, 7 days a week.